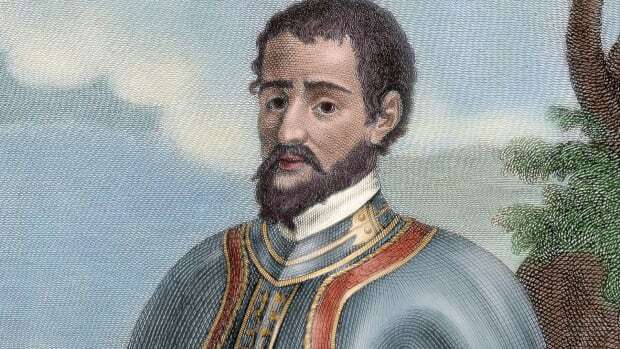 Amerigo Vespucci was an Italian-born merchant and explorer who took part in early voyages to the New World on behalf of Spain around the late 15th century. 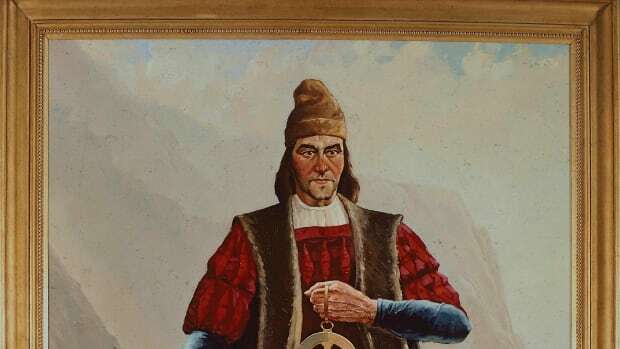 By that time, the Vikings had established settlements in present-day North America as early as 1,000 A.D. and Christopher Columbus had already “discovered” several Caribbean and Central American islands, yet it’s Vespucci’s name that prevailed. Early accounts of Vespucci’s voyages, now believed to have been forgeries, had quickly spread throughout Europe. In 1507, using these letters as his guide, a German cartographer created a new map, naming the territory now known as South America in Vespucci’s honor. For the first time, the word “America” was in print. Vespucci was the son of Nastagio, a notary. As a boy Vespucci was given a humanistic education by his uncle Giorgio Antonio. In 1479 he accompanied another relation, sent by the famous Italian family of Medici to be their spokesman to the king of France. On returning, Vespucci entered the “bank” of Lorenzo and Giovanni di Pierfrancesco de’ Medici and gained the confidence of his employers. 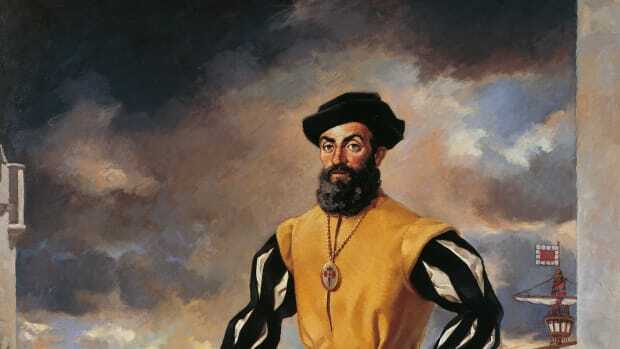 At the end of 1491 their agent, Giannotto Berardi, appears to have been engaged partly in fitting out ships; and Vespucci was probably present when Christopher Columbus returned from his first expedition, which Berardi had assisted. Later Vespucci was to collaborate, still with Berardi, in the preparation of a ship for Columbus’s second expedition and of others for his third. When Berardi died, either at the end of 1495 or at the beginning of 1496, Vespucci became manager of the Sevilla agency. Did you know? Thefirst use of the name "America" was in 1507, when a new world map was created based on the explorations of Amerigo Vespucci. The period during which Vespucci made his voyages falls between 1497 and 1504. Two series of documents on his voyages are extant. The first series consists of a letter in the name of Vespucci dated from Lisbon, Portugal, September 4, 1504, written in Italian, perhaps to the gonfalonier (magistrate of a medieval Italian republic) Piero Soderini, and printed in Florence in 1505; and of two Latin versions of this letter, printed under the titles of “Quattuor Americi navigationes” and “Mundus Novus,” or “Epistola Alberici de Novo Mundo.” The second series consists of three private letters addressed to the Medici. In the first series of documents, four voyages by Vespucci are mentioned; in the second, only two. Until the 1930s the documents of the first series were considered from the point of view of the order of the four voyages. According to a theory of Alberto Magnaghi, on the contrary, these documents are to be regarded as the result of skillful manipulations, and the sole authentic papers would be the private letters, so that the verified voyages would be reduced to two. The question is fundamental for the evaluation of Vespucci’s work and has given rise to fierce controversy; attempts to reconcile the two series of documents cannot generally be considered successful. The voyage completed by Vespucci between May 1499 and June 1500 as navigator of an expedition of four ships sent from Spain under the command of Alonso de Ojeda is certainly authentic. (This is the second expedition of the traditional series.) 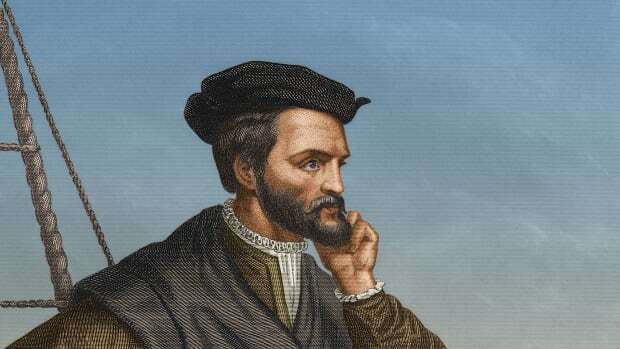 Since Vespucci took part as navigator, he certainly cannot have been inexperienced; but it does not seem possible that he had made a previous voyage (1497–98) in this area (i.e., around the Gulf of Mexico and the Atlantic coast from Florida to Chesapeake Bay), though this matter remains unresolved. In the voyage of 1499–1500 Vespucci would seem to have left Ojeda after reaching the coast of what is now Guyana. 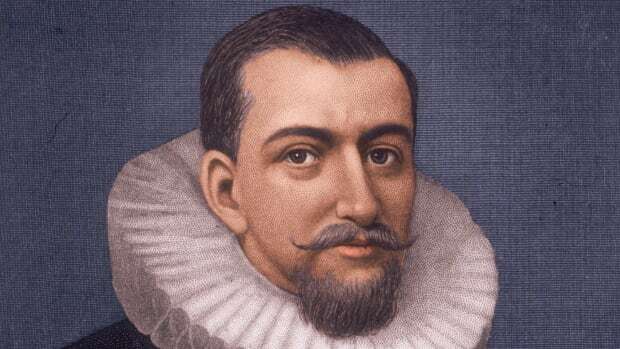 Turning south, he is believed to have discovered the mouth of the Amazon River and to have gone as far as Cape St. Augustine (latitude about 6° S). On the way back he reached Trinidad, sighted the mouth of the Orinoco River, and then made for Haiti. Vespucci thought he had sailed along the coast of the extreme easterly peninsula of Asia, where Ptolemy, the geographer, believed the market of Cattigara to be; so he looked for the tip of this peninsula, calling it Cape Cattigara. He supposed that the ships, once past this point, emerged into the seas of southern Asia. As soon as he was back in Spain, he equipped a fresh expedition with the aim of reaching the Indian Ocean, the Gulf of the Ganges (modern Bay of Bengal), and the island of Taprobane or Ceylon (now Sri Lanka). But the Spanish government did not welcome his proposals, and at the end of 1500 Vespucci went into the service of Portugal. Under Portuguese auspices Vespucci completed a second expedition, which set off from Lisbon on May 13, 1501. After a halt at the Cape Verde Islands, the expedition traveled southwestward and reached the coast of Brazil toward Cape St. Augustine. 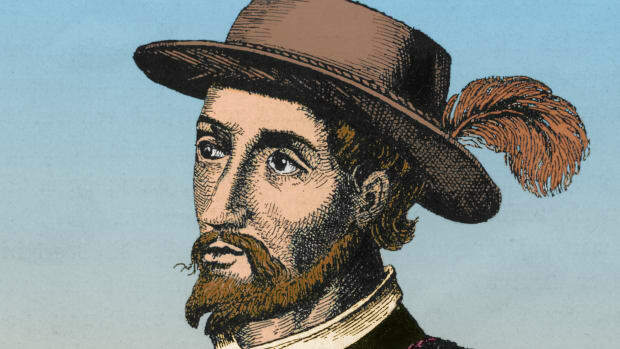 The remainder of the voyage is disputed, but Vespucci claimed to have continued southward, and he may have sighted (January 1502) Guanabara Bay (Rio de Janeiro’s bay) and sailed as far as the Río de la Plata, making Vespucci the first European to discover that estuary (Juan Díaz de Solís arrived there in 1516). The ships may have journeyed still farther south, along the coast of Patagonia (in present-day southern Argentina). The return route is unknown. Vespucci’s ships anchored at Lisbon on July 22, 1502. 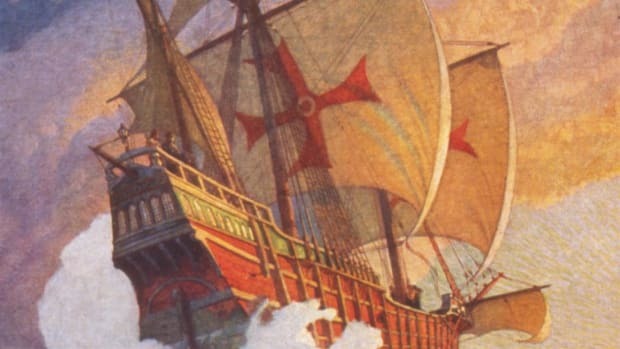 The voyage of 1501–02 is of fundamental importance in the history of geographic discovery in that Vespucci himself, and scholars as well, became convinced that the newly discovered lands were not part of Asia but a “New World.” In 1507 a humanist, Martin Waldseemüller, reprinted at Saint-Dié in Lorraine the “Quattuor Americi navigationes” (“Four Voyages of Amerigo”), preceded by a pamphlet of his own entitled “Cosmographiae introductio,” and he suggested that the newly discovered world be named “ab Americo Inventore…quasi Americi terram sive Americam” (“from Amerigo the discoverer…as if it were the land of Americus or America”). The proposal is perpetuated in a large planisphere of Waldseemüller’s, in which the name America appears for the first time, although applied only to South America. The suggestion caught on; the extension of the name to North America, however, came later. On the upper part of the map, with the hemisphere comprising the Old World, appears the picture of Ptolemy; on the part of the map with the New World hemisphere is the picture of Vespucci. 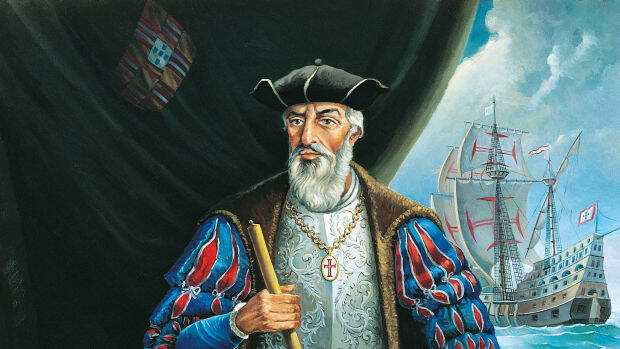 It is uncertain whether Vespucci took part in yet another expedition (1503–04) for the Portuguese government (it is said that he may have been with one under Gonzalo Coelho). In any case, this expedition contributed no fresh knowledge. 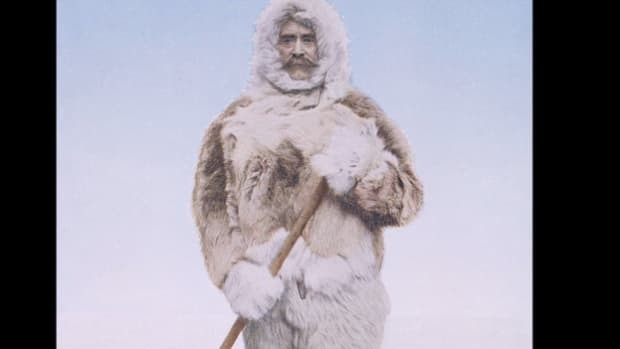 Although Vespucci subsequently helped to prepare other expeditions, he never again joined one in person. At the beginning of 1505 he was summoned to the court of Spain for a private consultation and, as a man of experience, was engaged to work for the famous Casa de Contratación de las Indias (Commercial House for the Indies), which had been founded two years before at Sevilla. In 1508 the house appointed him chief navigator, a post of great responsibility, which included the examination of the pilots’ and ships’ masters’ licenses for voyages. 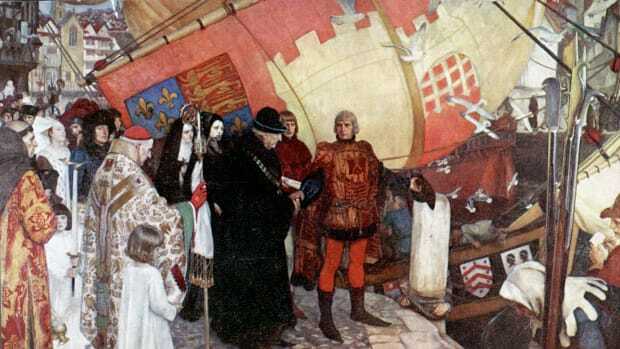 He also had to prepare the official map of newly discovered lands and of the routes to them (for the royal survey), interpreting and coordinating all data that the captains were obliged to furnish. 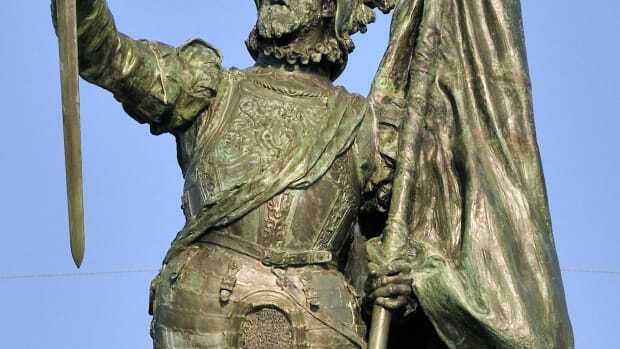 Vespucci, who had obtained Spanish citizenship, held this position until his death. His widow, Maria Cerezo, was granted a pension in recognition of her husband’s great services. Some scholars have held Vespucci to be a usurper of the merits of others. Yet, despite the possibly deceptive claims made by him or advanced on his behalf, he was a genuine pioneer of Atlantic exploration and a vivid contributor to the early travel literature of the New World. Copyright © 1994-2009 Encyclopædia Britannica, Inc. For more information visit Britannica.com.